Around the internet, Google used to be the unchallenged leader in the April Fool's Day economy (or whatever you want to call the weird corporate/internet culture that's popped up around April Fool's Day). But now, everyone and their mother is doing some big April Fool's day joke and the internet is getting tired of it. In fact, most of them are doing it just to get some coverage (read: free publicity) on a blog like this. So why are we writing about Microsoft? Well, first off: you probably already know that Microsoft exists. Yes, we're giving them free publicity, but they also get free publicity by being the operating system on your ATM. 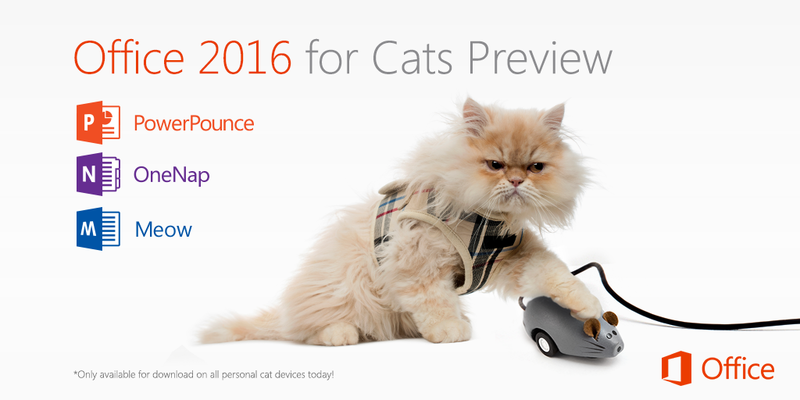 Secondly, and most importantly: Microsoft's 2015 April Fool's Day jokes are actually pretty funny. Check out our list of their 4 best jokes this year. Want to compare Microsoft to Google's heyday? Check out our 7 favorite Google hoaxes. "Mr. Fluffles, I expect that presentation to be done by end-of-day! And Fluffles... don't put in any pictures of birds like last time. We don't need another scratch in the projection screen." Continuing the cuteness of Office for Cats, the Bing team created what is possibly the best new product to come out of Microsoft since the Courier. And, like the Courier, this one is also not real. Why, Microsoft? Why are all of your best products either unreleased prototypes or April Fool's jokes? Microsoft did something smart by buying Acompli, an app that everyone was calling the "Outlook mobile app that Microsoft didn't build." 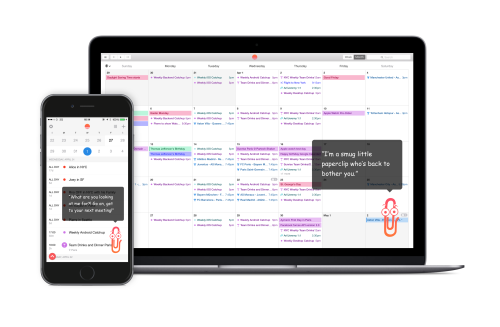 But then they bought Sunrise, a cross-platform calendar app that a lot of people agree is really, really, awesome. And a lot of those people were a little scared that Microsoft would ruin Sunrise. Apparently, Microsoft and the Sunrise team got wind of those fears, because they capitalized on them by creating Clippy for Sunrise. Ha ha, Microsoft, funny joke! But please... don't ruin Sunrise.